Product prices and availability are accurate as of 2019-04-18 02:51:19 UTC and are subject to change. Any price and availability information displayed on http://www.amazon.co.uk/ at the time of purchase will apply to the purchase of this product. 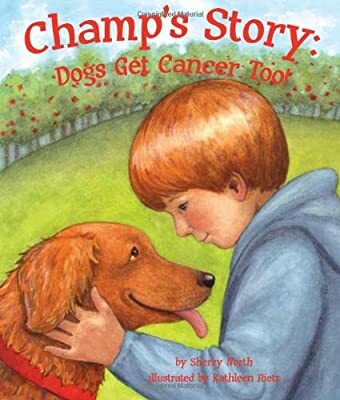 The Champ's Story: Dogs Get Cancer Too!is a splendid book about a boy who discovers that his dog has cancer. The story focuses on how the boy handles cancer, what the treatments are like and how it will influence the dog, his family and his life. It also teaches us about cancer prevention and healthy habits. Champ's Story A story of a young boy whose dog is diagnosed with cancer. The boy becomes a loving caretaker to his dog, who undergoes the same types of treatments as a human under similar circumstances. Includes "For Creative Minds" educational section.